The wearable technology by PFO Tech has been nominated for the Guldägget (the Golden Egg Award) 2014 as used in the Natalia Project campaign by RBK Communications. It is the pinnacle of an immense year of recognition for the Natalia Project behind which PFO Tech developed the GPS bracelet and server infrastructure. The Guldägget is Sweden's oldest, largest and most prestigious competition in creative communication. The competition is arranged by Sveriges Kommunikationsbyråer (Swedish Association of Communication Agencies) to raise the level of the creative standard within the industry. The Natalia Project was launched in April 2013 as a security solution for human rights activists at risk. 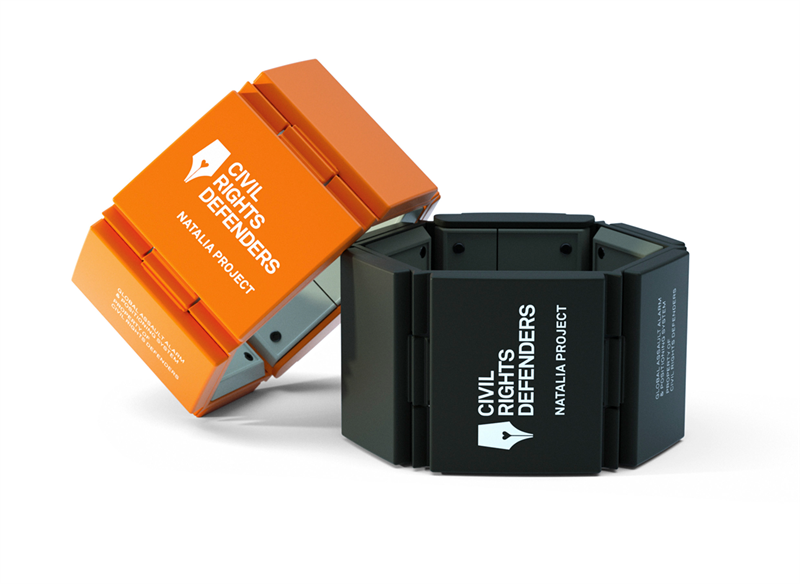 In the case of an assault, a wearer of the GPS alarm bracelet can directly notify the Civil Rights Defenders, as well as the world through social media. The project has been acknowledged by the United Nations, European Commission, NDI, RFK Foundation and Google, as well as used in lectures at Harvard and Stockholm School of Economics. It has had an editorial reach of over 2 million via BBC, NBC, Al Jazeera, Newsweek, Wired, Mashable, DN, SvD, and SVT, to name a few. PFO Tech developed the bracelet and technology behind the Natalia Project, opening the eyes of companies and organisations worldwide to the importance of enhancing the safety and security of their staff. In the past year, the system, including the GPS bracelet with alarm, mobile application and hosting service, has been tested in more than twenty countries, by users ranging from lone workers and journalists to large corporate teams. The 53rd Annual Guldägget Gala is held today, 23rd April 2014 at the Stockholm Waterfront Congress Centre. PFO Technologies is a Stockholm-based technology firm providing companies and organisations with GPS personal security systems, including tracking devices, mobile applications and hosting service.